Ben Yosef Livnat, Hy"d, nephew of Minister Limor Livnat and 25 year old father of four from Jerusalem, was murdered by US-trained and US-armed Arabs occupying the kever of Yosef HaTzadik in Shechem where he went to pray on Erev Shvi'i shel Pesach. Today's Jerusalem Post reports that Ben Yosef Livnat was circumcised at Kever Yosef and he grew up in Elon Moreh overlooking the site. His father had learned in Yeshivat Od Yosef Chai before the holy site was turned over to our enemies by a traitorous government. "This was a crime by the young people who went in there. Going to the tomb depends on our rabbi who decides. Nothing bad has ever happened when he has given his approval." This is just the kind of wrong thinking that has gotten us into this situation and keeps us victims instead of owners and rulers in our own land. 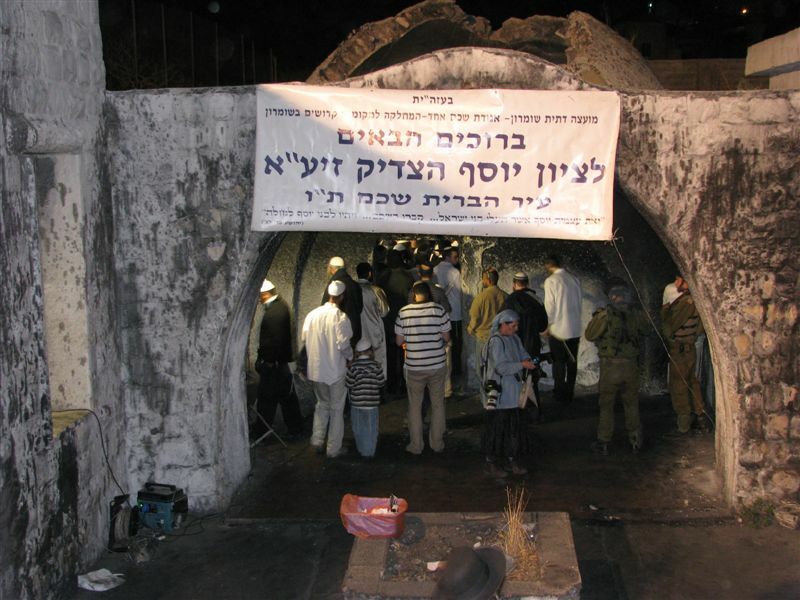 "Haim Reicher, chairman of the Yesod Haolam organization that organizes visits to Joseph's Tomb, said that part of the problem is the army's failure to answer the needs of the many Jews seeking to pray at the holy site.
" ' We don't want to conquer this place, we don't want to put up the Israeli flag. We just want to come and pray for five minutes. That's what happened last night. They went to pray, and when they left and went to the cars and were leaving, they were shot.
" ' This is what bothers us, that for 17 years we've been battling over this with the army and the police to increase the number of people they allow in. We don't want it to be continuously open, but for the army to speak with us and coordinate with us more. The army isn't to blame, they do blessed work, every single one of them. But this place is abandoned,' Reicher said." Do you imagine in your wildest dreams that Yosef HaTzadik was anxious to have his bones brought up to Eretz Yisrael so that his kever could be desecrated over and over again and his descendants could beg five minutes to pray there and then get murdered for their trouble? I understand what Mr. Reicher is trying to say. He is trying to impress upon the reporter that Jews are not a "security" threat. But, again, I have to point out the tragedy of this kind of thinking. In fact, YES! We DO want to reconquer, not just Kever Yosef, but all of Shechem! And YES! We DO want to raise the Israeli flag over it. And YES! We DO want it open continuously for any and ever Jew who wants to pray there anytime he likes with no need of permissions!! and without any further spilling of Jewish blood!! According to the report, Ben Yosef's father said, "Individual revenge is not relevant in connection with his son's murder... He explained that his son's death was part of a larger history of violence perpetuated by the Palestinians against Israelis, and the revenge for all these deaths should be a collective one." He's right. No one can think of Kever Yosef without remembering Rabbi Hillel Lieberman, Hy"d.
The Oslo Accords gave Shechem to the murderous enemy while Kever Yosef was to remain a protected enclave within. In October 2000, in typical fashion, Ehud Barak left Druse border policeman Madhat Yusuf to bleed to death and then pulled back the Israeli soldiers so that the Tomb fell into the hands of the very Palestinian police who murdered Ben Yosef Livnat. HASHEM! Please raise up our righteous Mashiach to avenge the blood of all Your holy martyrs! And please, no more martyrs. The Day has come! The House is clean. The Chometz has been sold. The matzah is ready. We are about to sit down at the magnificent table and begin the Seder. My friends, this year it should mean a lot! The ring is closing tighter around Israel. Destabilization in the Middle East is introducing increasing chaos, which is always a dangerous phenomenon, especially with the volatile and violent nature of the "neighbors" who surround Israel on every side. Indeed, as we have seen in recent weeks, they are getting more aggressive. In addition, they vastly outnumber us. When you add in the Western World the numbers become huge. Do they like us? Well, remember what Rashi tells us: "Esav sone es Yaakov ... Esau hates Jacob." (Rashi on Bereishis 33:4) I'll repeat a quotation that I have used before, but it is so relevant that it bears repetition. These words stand at the very beginning of my third book, 2020 VISION. This is precisely the world situation we face today. Now let's examine our ancestors' situation in Biblical Egypt. Was it not exactly the same? Think about it, my friends. 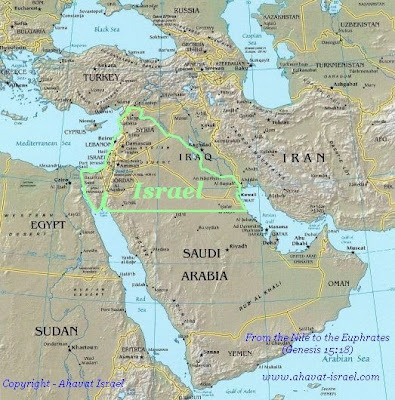 Yes, the stage was smaller, but the entire world was "smaller" then; all of Israel was confined within Egypt, which was the world's most powerful country. "A new king arose" overEgypt, who was no friend of Israel, "so they appointed taskmasters over [Israel] in order to afflict it." (Shemos Chapter 1). From the distance of thousands of years these words sound relatively tame, but that is a mistake. Life in Mitzraim was every bit as frightening as the Holocaust or terrorism today. Pharaoh and his advisers devised a plan that would be copied in later centuries by Haman and Hitler (may their memories be erased!). Our situation was impossible! There was no hope, no way to escape from the Egyptians, and they intended to wipe us out, G-d forbid. THE ONLY HOPE FOR OUR SURVIVAL WAS A MIRACULOUS INTERVENTION BY G-D TO RESCUE US FROM THESE IMPOSSIBLE ODDS, AND THAT IS EXACTLY WHAT HAPPENED! G-D'S EXISTENCE MAY HAVE SEEMED A "THEORY" TO SOME PEOPLE BEFORE YETZIAS MITZRAYIM, BUT NOT AFTERWARDS! What before the Redemption may have been a hint or promise, became a REALITY after the Redemption, visible to everyone, including our enemies! "A handmaiden at the Red Sea saw more than the Prophet Ezekiel" (Mechilta Beshalach Shira 23). My friends, this is what we can expect in the Final Redemption! As it was in Egypt, so it will be in that monumental day when G-d will end our captivity forever. The very impossibility of our situation now, the fact that we are COMPLETELY SURROUNDED by enemies wherever we are, the fact that they are much stronger and more numerous than we, simply makes it clear that the ONLY WAY we will be rescued is through a Redemption that will dwarf anything seen in the entire history of the world up to now! Can you imagine the magnitude of the Final Redemption! "A staff will grow from the stump of Yishai, and a shoot will sprout from his roots. And a spirit of Hashem will rest upon him, a spirit of wisdom and understanding, a spirit of counsel and strength, a spirit of knowledge and fear of Hashem....And it will be on that day, My L-rd will again show His strength to acquire the remnant of His people ... He will raise a banner for the nation and assemble the castaways of Israel ... the dispersed of Judah will He gather in from the four corners of the earth. ... There will be a road for the remnant of His people... as there was for Israel on the day they went up from the land of Egypt." (Isaiah 1:1ff/Haftarah for the Last Day of Pesach). We will not have to imagine on that day! We will not have to hope on that day! We will not need hints on that day! WE WILL SEE THE SALVATION OF ISRAEL JUST AS WE SAW IT ON THE DAY HASHEM TOOK US OUT OF EGYPT. AND IT WILL BE FOREVER! THERE WILL BE NO MORE ENEMIES! NO MORE FEAR! NO MORE SICKNESS! NO MORE PAIN AND TZOURIS! AND HASHEM WILL DRY ALL THE TEARS FROM OUR EYES! AND THE DRY BONES WILL LIVE! This is really going to happen! The proof is that it has already happened in Egypt! Will it be this year? Only Hashem knows, but we all know it won't be long! Chag Kasher V'Sameach to Klal Yisroel! It is no coincidence that Jonathan Pollard is imprisoned at FCI Butner in Butner, North Carolina! The cars were backed up for miles. Yes, this was the day that we had all been waiting for. Pesach was finally here. As far as one could see, black hats and yarmulkas covered all the heads; all could feel the excitement in the air. Ma Nishtana? This Pesach was surely going to be different than all others! There was not a single hotel room left to be had, the car rental companies ran out of vehicles long ago. So, nu? What to do? We waited patiently as the traffic slowly moved down the street, as the women put on the finishing touches of makeup and adjusted their latest-style shaitels. Pesach was here and what a great time it was! One could just imagine saying the Hallel - the singing of praises to HaShem, the Master of the world - and breathing in that wonderful smell. No, not of the Pesach sacrifice, but of the ocean breezes right there in downtown Miami, as traffic started to move once again down Collins Avenue. How tragic it has all become, as the wandering Jews continue to wander - this time, willingly. One just has to witness the mad scene that prevails every Pesach eve at Miami International Airport, as a sea of black hats run to and fro, heading to the latest exile - Collins Ave. What a joke our religion has become, as we all sit around our Seder tables crying out: "Next year in Jerusalem," even as we have absolutely no intention of coming home. And what does Hashem think as He sits on high and sees His beloved people continuing to run deeper into darkness? He sits and waits for His people to return to His homeland. What more can He do that He has not done already, to bring His people home? After keeping us alive throughout the very long exile, bringing us back to His land exactly as He wrote in the books of the prophets so long ago. Can He not be just sickened by the sight of the Jew holding on to every imaginable chumra, but not holding on to Him? Will Mashiach be some kind of travel agent handing out El-Al airline tickets and helping them with the bags? Woe to the one who has eyes and does not see! And today, we have exchanged Pesach in the holy city of Jerusalem, in all of its glory, with its multitudes of Jews coming from all over to be seen by Hashem in His house, for an 18-hole golf course. We have exchanged the sight of the holy Kohanim standing in two rows handing over the mizrach vessel to collect the blood from the Pesach sacrifice - and working so fast that the eye can only see it as a row of gold and silver - for an indoor sauna. We have exchanged the family gatherings in the courtyards of the Old City, together roasting the Korban Pesach, with its overwhelming and powerful smell enticing all, for that Caribbean cruise. In our parsha, Acharei Mot, we also find the many details of the work done by the Kohen Gadol on the holiest of all days - Yom HaKippurim, when he walks into the Holy of Holies to atone for the entire Jewish people. "Happy is the eye who has seen all this, but when we hear of our loss, our soul aches. Happy is the eye who has seen the Levites sing and play their musical instruments on the duchan, but when we hear of our loss, our soul aches." Today, who aches with pain over our Temple and our great loss? Today, who has time to think of it, as we head out to have fun in the sun? Yes, the missing ingredient cries out to us, and it will not be silent until we take heed of it, return to the Land and rebuild it. Join the Jewish Idea's E-mail list and spread the word! 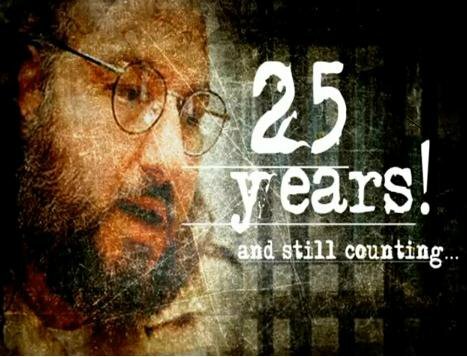 AS HE ENTERED HIS THIRD decade in prison, convicted Israeli spy Jonathan Pollard - incarcerated since 1985 on a life sentence - may not have been forgotten, but the case for his early release certainly appeared to be cold, with a decreasing amount of attention being paid to it by politicians and the organized Jewish community. But in the past year, and particularly in recent months, the Pollard case seems to have gotten a new lease on life. 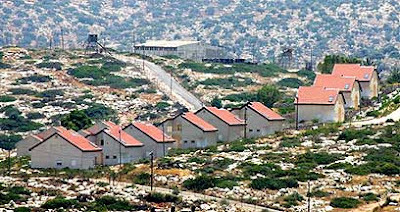 Several high-profile former US government officials - among them, most notably, former secretaries of state Henry Kissinger and George Shultz and former attorney general Michael Mukasey - have written public letters to President Barack Obama asking him to consider granting Pollard clemency, while Prime Minister Benjamin Netanyahu in early January made a similar official request to the president. At the same time, a growing number of Congressmen, among them Michael Grimm, the first Republican member of the House to publicly come out in support of Pollard, have been adding their names to the list of those calling for the convicted spy to be released from jail. The rejuvenated campaign on behalf of Pollard is being driven by a new generation of activists who have joined together with a reenergized older generation of supporters and decided to bring his case back into the headlines. 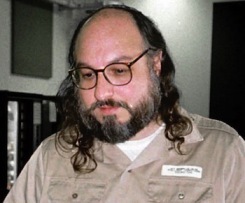 Although opposition to Pollard's early release still exists in Washington among some Republicans and members of the intelligence community, the passing of the years appears to have muted this opposition significantly, leaving many to believe that clemency for the convicted spy is closer than ever before. In this, the season of our deliverance from Egpyt of old, may Hashem see fit to deliver Yehonatan ben Malka from his prison and send Mashiach Tzidkeinu to deliver us, too!! You aren't interested in claiming your homeland, so others, who are, demand to take your place---Arabs, foreign workers, and now xians. Only when all the Jews have returned to Eretz Yisrael will there once again be Jewish unity. There can never be unity with Jews in chu"l because we are living in totally different realities. Come home now before Hashem forces you to come or buries you there in the midbar, c"v.
It's really very simple. There are how many xian lands across the world??? All the missionaries and their converts can go to one of them and live as xian as they want. But, no! Just like the Muslims. They want OUR ONE SMALL LITTLE COUNTRY!!! The nasty blond is a goyah who was raised here by missionary parents and has Israeli children and grandchildren who are as anti-Semitic as she is. You can hear it dripping from her voice when she says the word "rabbis." ...Just before his graduation in the spring of 1972, Jay was named the outstanding senior Social Studies student at Riley High School. …he made the National Honor Society; and as a result of his awards, test scores, grades and extracurricular activities, he was accepted at Stanford University in Palo Alto, California. 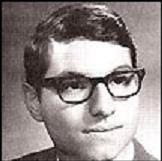 …[A former classmate who] studied with Pollard at Stanford said he had “trashed” his mid-term exams in the fall of 1973 when the Yom Kippur War broke out. …Pollard described those days during the war as a real crisis in his life. “It was one of the most frustrating experiences for me because I basically wanted to pick up at that point and go there,” he said. “I was a sophomore. I felt guilty over not being there.” But he managed to get only as far as the Los Angeles Airport. “Unlike the experiences of 1967,” he said, “all we kept hearing on the news was how precarious the margin of Israeli success was and that the casualty lists were growing to alarming heights. A call for volunteers went out to permit able-bodied men to be transferred from kibbutzim to the fronts, but the group I was in spent five frustrating days waiting for an ElAl flight in Los Angeles before we were told the need for us had passed with [Gen. Ariel] Sharon’s crossing of the Suez. Although we had won after all, the price had been appalling and I had spent the whole time sitting in an airport terminal 15,000 miles from Israel, unable to do anything more than think. “It was during that vigil,” he added, “that I decided the intelligence field would provide me with a skill which would be well received in Israel once I immigrated. Like Colonel [Mickey] Marcus, I was ready to serve the United States faithfully and then, once I had contributed something to the national defense effort, leave for Israel. “The problem with long-range plans is that they very often are overtaken and invalidated by unanticipated events. In my case, I quite simply began to enjoy living in the United States and could almost admit that perhaps I would stay here after all. According to the Blitzer book, seventy-five members of Jonathan Pollard’s family were murdered in the Holocaust. He had visited Dachau with his family and like many Jews of his generation, he strongly believed that Israel was all that stood between Diaspora Jews and another potential Holocaust. 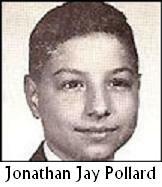 ...In the summer of 1970, while still in high school, Pollard went to Israel for the first time. After all these years, his dream was about to come true. On the bulletim board at his Hebrew School in South Bend, there had been an announcement about a science camp for gifted students from around the world at the renowned Weizman Institute of Science in Rehovot. "Do you think I could go?" he eagerly asked his parents. Dr. Pollard, of course aware of Weizman's reputation, immediately said yes. ...It was the summer before his junior year in high school. "We were apprehensive," Mrs. Pollard recalled. That was one reason why they themselves later made their own first trip to Israel that same summer. ...When they arrived, Jay was having a wonderful time. "He was in heaven," his mother said, "just in heaven." And Jay agreed. That experience "was one of the most liberating experiences I have ever had in my life," he said, noting that he began to see a more "normal" Jewish experience. ...But even that summer, he found himself fighting with other kids. ...His parents confirmed that there had been an incident. They said that a non-Jewish student from England had been taunting one of the other Jewish kids in the group. "Jay tried to protect this guy," Mrs. Pollard said. "It was no fight. The other boy, who played soccer, just kicked Jay in the stomach and ruptured his spleen." Jay wound up in an Israeli hospital for several days. ...yet Jay had different recollections of that summer in Israel. He insisted that he had simply participated in a water-balloon war with some other kids. "It got a little too vigorous. I was the only casualty." His most remarkable experience, he said, was seeing the walls of Jerusalem. "A lot of people say that when they see the [Western] Wall for the first time, they are overwhelmed. I won't diminish that. It was quite remarkable for me when I saw it." But the walls surrounding the Old City had an even greater impact. "I guess that city has come to represent everything I hold dear so far as that country is concerned. You can see in those walls the course of our social history more than you can in the Western Wall. The Western Wall, I guess, represented the bond with God. The walls of that city represented our sociological ascendancy and decline at the same time." Pollard returned from Israel more convinced than ever that he had no alternative but eventually to settle in that country. He wanted to join the Israeli Army and become a Jewish fighter. He was determined to become a "normal" Jew, living in a Jewish state. He was going to get rid of his Jewish ghetto hangups. Indeed, his parents recalled that he had simply wanted to stay in Israel after the Weizman camp experience. "We had trouble getting him home," Dr. Pollard said. "He wanted to stay there and we told him to come home and finish his education and go back as a contributor." The boy obeyed his parents. He came home refreshed and excited. He now had a game plan in mind, and it involved preparing himself for the move to Israel. But those heady plans were quickly thwarted upon his return to the real world of South Bend. I was already very familiar with the J4JP website and just as I recalled, the information there is concentrated on the legal/political issues of the Pollard case. There was nothing that I could find there about Jonathan Pollard, the private person. …Thus, Israel, during the war, began to completely dominate Pollard’s thinking. He read about the country voraciously. He admired in Israel many characteristics lacking in himself. “I got beaten up,” he said, “but at least I knew the Israelis would beat up a couple of Arab countries and maybe it would make me feel better.” Israel’s victory in 1967 further served “to emphasize in my mind the advisability of leaving for Israel, where I could put all the humiliations of my adolescence behind me. His parents recalled an incident just before his Bar Mitzvah that had a significant impact on Jay. The family had belonged to the Reform Temple in South Bend. A new rabbi had been brought to the congregation from Toledo, someone who was part of the so-called Classical Reform movement. “He grew up in the tradition of Sunday morning services for Jews,” Dr. Pollard said. The family switched to the Orthodox synagogue in town where Jay received his Bar Mitzvah. Open message to "Justin," if you're reading this. Am Yisrael has a right to know publicly published details of Jonathan Pollard's life which can only further endear him to their hearts. And for the record, it's a shanda that you have endorsed Pat Robertson by publicizing him on your J4JP website. He's an idolater, the son of an idolater, and he has spent his life promoting idolatry throughout the world. Any "help" he provided would be done for purely egoistic motives and should neither be requested nor acknowledged. Interesting names these---Tzaddik, Tziona, Shalom. They sound so righteous and so Jewish! Their bearers are anything but! Read the article and then you will understand. I join Mashiach's Wife in saying "Hashem, Have Mercy on Your Children!" And deliver us from the Erev Rav!! The hearts and minds of Am Yisrael are turned toward our brother Yehonatan Pollard and rightly so. As we prepare to celebrate the Festival of Freedom---Pesach---our thoughts turn naturally towards those of our brothers who are still awaiting their liberation from harsh servitude. Yehonatan tops the list because of the sheer length of time he has been a captive of Edom and because of the precarious state of his health. He is now halfway through his 26th year in a US Federal Prison. You know the rest. The tragic tale is public knowledge among Jews of every persuasion. But, what you might not know is the man behind the story. 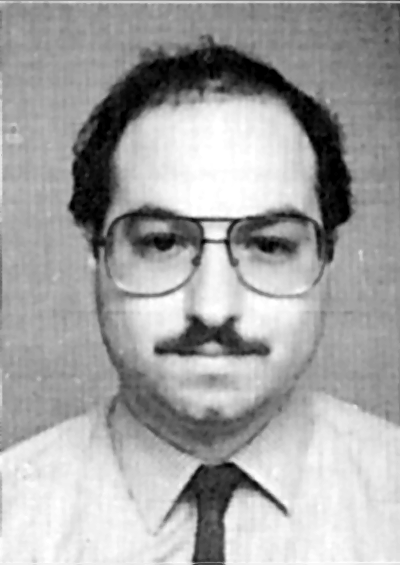 I have been collecting bits of information about Yehonatan Pollard for a few years. I have in my collection a book written by Wolf Blitzer in 1989 entitled Territory of Lies. Over the coming days, I hope to post some excerpts from the book which might provide you with some insight into Yehonatan Pollard-the man, as opposed to simply Jonathan Pollard-the spy who was caught and imprisoned for life. * Pollard grew up in Indiana which is known as the "Hoosier" State. ** Gilboa refers to the place where King Saul and his son, Yehonatan, best friend of David HaMelech, were killed in battle. What If Moshe Rabeinu Had Facebook? Very cute if you haven't already seen it. Supporters of Jonathan Pollard are tensely awaiting the meeting of Presidents Shimon Peres and Barack Obama today – 6:45 PM Israel time, 11:45 AM in Washington. Pollard's name is expected to come up in a more focused manner than has generally been the case in past high-level Israeli-American meetings. This, in light of the rapidly growing list of American public figures who have called on Obama to right the wrong of Pollard's ongoing incarceration, because of Pollard's ill health, and because of the upcoming Jewish holiday of freedom, Passover. It has nothing to do with reality per se. That's why they can call treachery and capitulation a "peace initiative" and continue to discuss "giving" the "Palestinians" a "state of their own" with it's capital in "East" Jerusalem, when this runs counter to the express will of the Creator. Do not believe the propaganda that the "only solution is a two-state solution." There is a one state solution which they are unwilling to consider---Jewish Israel from the river to the sea and ALL ARABS OUT! The annual attempts to resume the Passover sacrifice received a first significant rabbinical backing recently. Safed's Chief Rabbi Shmuel Eliyahu, a prominent religious Zionism leader, has called on the public to perform the sacrifice mitzvah on the eve of the Jewish holiday, in about two weeks. Speaking during a Halacha lesson in Jerusalem last week, the rabbi warned that Jews evading the mitzvah were risking "Kareth" - a supernatural punishment for transgressing Jewish Law. According to Rabbi Eliyahu, there is a halachic, legal and public possibility to offer a Passover sacrifice these days. During the lesson, he quoted senior rabbinical authorities, adding that Rabbi Zvi Hirsch Kalisher – one of the founders of modern and religious Zionism – had asked the Turkish sultan to allot an area on the Temple Mount for the erection of an altar for a Passover sacrifice. The Safed rabbi went on to say that the Passover sacrifice could be slaughtered in front of the Dome of the Rock plaza, although the Temple no longer exists and the people of Israel are defined as "tameh met" (in a status of impurity which comes from contact with a dead body). In order to overcome the greatest obstacle, beyond the political problem, an altar must be erected, the rabbi said. He also called for the preparation of "priesthood clothes", which are the only ones in which Kohanim (priests) can perform their work at the Temple. Addressing the legal aspect, Rabbi Eliyahu claimed that every person has the right to perform the commandment of his religion according to his own understanding. He added that petitions filed with the High Court of Justice against the sacrifice were accepted only because the police were unprepared to secure the ceremony. "It's perfectly clear that if the public pressures its representatives in the government or in the Knesset, everything will change. If the judges have ruled that the police must secure simpler protests, why not the Passover sacrifice?" Eliyahu rejected the claim that it was impossible to resume the mitzvah publicly. Addressing the international diplomatic ramifications, he said, "We are being threatened that any movement on our part on the Temple Mount will launch the third world war… (But) we can free our souls of the horror of the gentiles, just like we freed ourselves before the Exodus." "We have already been scorned for the circumcision mitzvah, persecuted and condemned to death for that. Today the UN's health organization recommends that all men undergo circumcision in order to avoid illnesses." Rabbi Eliyahu said the Torah had predicted that some would mock the sacrifice mitzvah. Such a person, he noted, is called in the Passover Haggadah, the "wicked son", who cleans his hands and says, "This doesn’t belong to me, this blood and primitiveness. I am an enlightened person. I respect animals. I don't slaughter them barbarically." The rabbi estimated, based on the Bible stories, that those who oppose this mitzvah would eventually change their mind and join the Temple work. In order to increase the motivation to offer a Passover sacrifice, Eliyahu noted that this is one of two "active mitzvot" (along with the circumcision), and that those evading it risk supernatural punishment and "cause great damage to themselves and to the entire world". He added that his father, former Chief Rabbi Mordechai Eliyahu, wrote that this custom may still exist these days. "These things should make us break the spiritual barrier preventing us from thinking about offering the Passover sacrifice," Rabbi Eliyahu concluded. He said his remarks were not lip service, but laws being learned "as a real demand and real preparation for the Passover sacrifice. Although we are not used to it, and have gotten used to living without a temple, we must change our ways." AMEN!! I love this man! Can you bear the words of the true prophets? The thoroughly nasty xians have already taken hold of it, just like they do anything with any kedusha whatsoever!! Chaval! Well, they won't be getting any more ammunition from me! And for those who are seemingly so worried about chillul Hashem. Take a look in the mirror! (Yechezkel 36) "...I scattered them among the nations, and they were dispersed through the countries. According to their way and their misdeeds did I judge them. And they entered the nations where they came, and they profaned My Holy Name, inasmuch as it was said of them, 'These are the people of the Lord, and they have come out of His land.' But I had pity on My Holy Name, which the house of Israel had profaned among the nations to which they had come." We just finished observing the festival of Purim where we were supposed to internalize this lesson. For is this not precisely what brought about Haman's evil decree? King Koresh issued a proclamation allowing the Jews to return to Eretz Yisrael from their Babylonian captivity in fulfillment of Yirmiyahu's prophecy, but the Jews wanted to remain in exile. Achashverosh's banquet, which the Jews of Bavel enthusiastically attended, was celebrating the fact that this prophecy was proven "false." G-d forbid! And lest you think Hashem is going to grant you your wish to settle permanently outside His Land, think again! You don't want anything to do with the precious, holy Land of Israel? Fine, you'll have your wish, but don't think you are going to be allowed to remain in the exile, continuing to desecrate the Holy One's Name indefinitely! (Yechezkel 20) "...As I live, says the Lord God, surely with a strong hand and with an outstretched arm and with poured out fury, will I reign over you. And I shall take you out of the peoples, and I shall gather you from the lands in which you were scattered, with a strong hand and with an outstretched arm and with poured out fury. And I shall bring you to the wilderness of the peoples, and I shall contend with you there face to face. As I contended with your forefathers in the wilderness of the land of Egypt, so will I contend with you, says the Lord God. And I shall cause you to pass under the rod, and I shall bring you into the transmission of the covenant. And I shall separate from you those who rebel and those who transgress against Me; from the land of their sojournings I shall take them, but to the land of Israel they shall not come, and you will know that I am the Lord." Keep in mind that when they say "The Bible," they're talking about the OT/NT combo. What else is wrong with Glen Beck? Who is David Barton and why does Glen Beck promote him and his beliefs? Our cries will bring Moshiach! This is like our cries in the days of the Egyptian Exile. For whom are we crying? THE VICTIMS OF LAST WEEK'S JERUSALEM BOMBING ATTACK. OUR BROTHERS TRAPPED IN JAPANESE PRISONS. Several weeks ago, a tsunami inundated northern Japan. 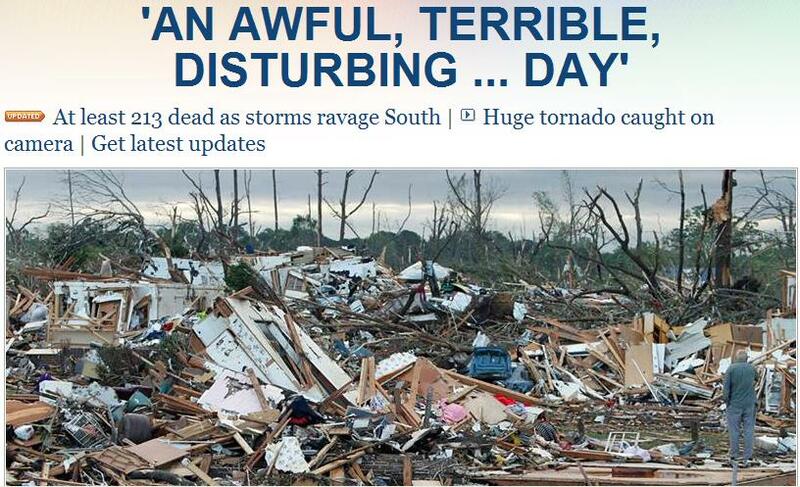 The devastation was immense, yet this was a mere drop compared to the endless expanse of water that covers the earth. And what is this vast expanse, this sea that is as deep as Mount Everest is high? THESE ARE THE TEARS OF ISRAEL! My friends, there will come a time when those tears will arise like a mighty wall and destroy our enemies. I do not understand why a tsunami struck Japan, but it is clear that those who think that they can torture us will not be allowed to carry out their plots for much longer. We are awaiting the day on which Hashem will "rescue [our] soul from the sword, [our] essence from the grip of the dog...." (Psalm 22:21). But In the meantime, we are not helpless. There is something we can do. What is King David's response to "the grip of the dog"? Two sentences later, he tells us the formula: "I will proclaim Your Name to my brethren." After 2000 years, we have returned to the Land of Israel. Are we really like the other nations? Are we the same as the inhabitants of Rome and Saudi Arabia? For how long will we continue to anger our Father in Heaven? For how long will we continue to bring disaster upon ourselves? IN ORDER TO MERIT THE "SHIELD OF AVRAHAM," WE HAVE TO TRY TO EMULATE AVRAHAM! My friends, Passover is coming. Only twenty percent of the Children of Israel left Egypt! They were the ones who saw that Egypt is built on impurity! Unless we also understand that the lifestyle of the surrounding nations today is built on impurity, we could suffer the same fate as our ancestors, G-d forbid! The Western World and the Moslem World are crumbling just as Egypt crumbled in Biblical days. When the Redemption comes, will we be among those who live to see the dawn of the New World? G-D'S TORAH IS SURVIVAL, LIFE ITSELF! For how long are we going to debate the Truth of Torah? "Father of compassion Who dwells on high, in His powerful compassion may He recall... the devout, the upright and the perfect ones who were beloved and pleasant in their lifetime and in their death were not parted [from G-d] ... He will bring retribution upon His foes and He will appease His land and His people.... 'For the Avenger of blood has remembered them; He has not forgotten the cry of the humble.' And it says, 'He will judge the corpse-filled nations. He will crush the leaders of the mighty land....'" (Av Harachamim). When we return to our Father in Heaven, then our tears will become an irresistible force. They will roll over the earth and bury all evil, just as the Red Sea rolled over our enemies in the days of our original Redemption. Then we will sing a new song! Just as our cries were heard in Egypt, so they will be heard now! There is no public outrage; no troop of politicians coming to call on the bereaved family. There was no broadcast of the funeral; no Facebook campaign for the orphans. But Rabbi Moshe Talbi was surely equally as loved by Hashem and his people and equally missed by all who were privileged to know him as any other Jew who has lost his life at the hands of our sworn enemies. May Hashem quickly avenge his blood along with all the martyrs of Israel and give comfort to his loved ones along with all the other mourners in Tzion and Yerushalayim until Techiyat HaMeitim, may it be soon! "What's Wrong With Glen Beck?"